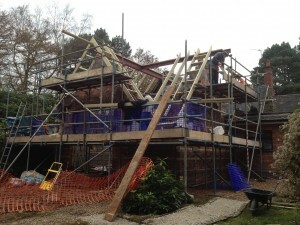 So you’re thinking of extending your home? 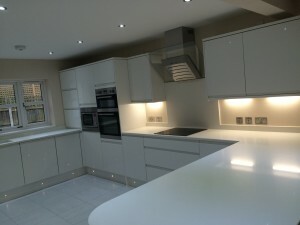 Your now thinking about extending and appointing the services of an Architect or Architectural designer. 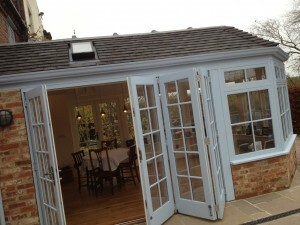 Before you do, let’s take the time to consider why it is you wish to extend and what purpose the extension will serve. 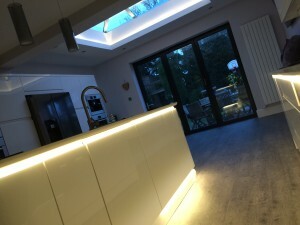 Lets use a kitchen / dining / family room alteration and extension for an example hereon. We are quite often approached to extend a property to gain ‘x’, but to be honest a large portion of the time, the house they live in will serve the purpose they require. It sometimes only requires a little ‘out of the box’ thinking to re-configure the space you have more effectively. This maybe achieved simply by removing a wall, relocating a staircase or possibly converting part of a garage. Asking the question ‘how do we use the space and does it work for us?’ should get you thinking about the flow of the overall spaces. Generally we no longer live like Victorians with separate rooms for each activity. You arrive back from work in the evening, and before you know it you are preparing dinner in a cramped and dysfunctional kitchen. The rest of your family are spread out between the bedrooms and living room, periodically appearing to grab a drink or ask how long until dinner. You then all struggle to fit into a small dining room. This is the dining room you instinctively placed a table in because that is what was shown on the sales particulars when you purchased the property. Now you are loading the dishwasher and tidying whilst; again most of the family have left the room. Like I said previously, we are not Victorians and we now live in a partly automated and connected world. Why can’t we all be in the same place whilst undertaking different tasks or pass times? Well we can. I don’t really like to call it open plan living. I prefer to call it ‘modern family living’. Your new space should flow naturally and function to suit your family. It should give you the ability to prepare dinner whilst casually glancing over at your darling children whilst they play peacefully on their tablet or study for homework. Wouldn’t it be nice to watch TV with your spouse or partner whilst loading the dishwasher together. Wouldn’t it be nice to open up the rear of your house to make the most of the garden and natural light. And let’s not forget those times when we have friends round and always seem to gravitate to the small cramped kitchen. – Why do you want to extend / alter your property? – Where would you like to extend? – What is your budget for extending and altering? – When do you want to extend / alter your property? From experience I can honestly say that the process from appointing an Architect or Architectural Designer to starting the works onsite is typically around 6 months or more. Sometimes this can happen sooner, but generally allow plenty of time for your project. Don’t set yourself un-realistic deadlines and add unnecessary stress. 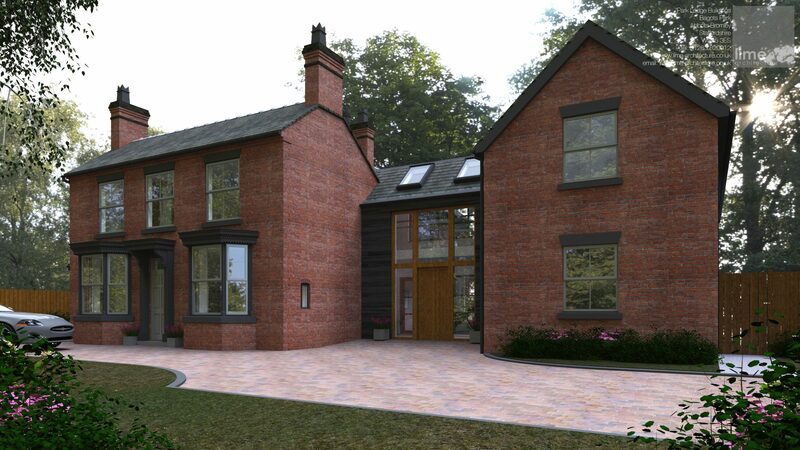 The alteration and extension of Orchard Cottage in Brocton, Staffordshire. 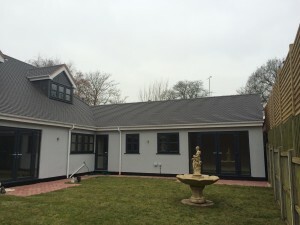 Grey render, dark grey windows and a plain clay roof tile. – Selecting and appointing a competent professional you feel comfortable to work with. – Design, consideration and reviewing your proposals. – Applying for planning permission; this can take 8 weeks from submission of an application to receiving a decision notice. 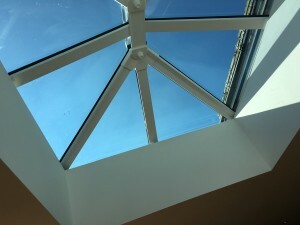 – Applying for building regulation approval; this can take a further 4 to 8 weeks from submission of an application, typically after you have received planning approval. – Tendering for or selecting a competent and reliable builder. Again, do not under estimate the design and procurement process timescales. Above all try to embrace and enjoy the process, get excited, not stressed! Now you have taken the time to read our handy guide, hopefully you will now be starting to consider a range of your own questions which help interrogate your brief. Why not take the time to look at these useful recourses to consider your brief in more depth.